John Stossel joined Fox News and Fox Business Network (FBN) in 2009. He hosts Stossel, a weekly program highlighting current consumer issues with a libertarian viewpoint, which debuted on December 10, 2009. His first shows covered health care, global warming, the novel Atlas Shrugged, “food police” and the Road to Serfdom. Prior to joining FBN, Stossel co-anchored ABC’s primetime newsmagazine show, 20/20. There he contributed in-depth special reports, like “Sick in America,” which, right before Obamacare, debated private vs. government health care. “Stupid in America” exposed the government school monopoly. “John Stossel Goes to Washington” revealed government growth under both parties, while “Hype” exposed media distortions. Stossel’s economic programs have been adapted into teaching kits by a non-profit organization, Stossel in the Classroom. High school teachers in most American public schools now use the videos to help educate their students on economics and economic freedom. They are watched and discussed by more than 12 million students every year. 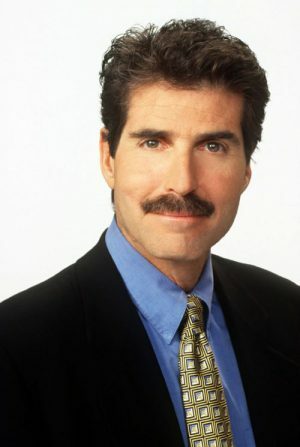 Earlier in his career, Stossel served as consumer editor at Good Morning America and as a reporter at WCBS-TV in New York City. His first job in journalism was as a researcher for KGW-TV (NBC) in Portland, Oregon. He is a graduate of Princeton University, with a B.A. in psychology. When not exploring free markets, he is an avid beach volleyball player.